As an Office 365 subscriber, you regularly get new and improved Office features. Take a look below to see what's available to you today. Name your shapes for more control over how they morph and get the perfect transition. Become an Office Insider and you'll be first in line to see new features and tell us what you think. 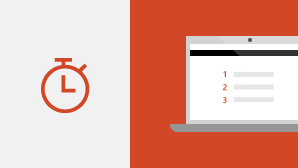 New Office 365 features are sometimes rolled out over a period of time to all subscribers. 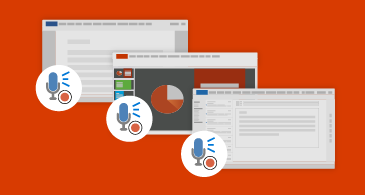 Get information about all the channel releases for Office 365 client applications. Not an Office 365 subscriber but using Office 2016 and Office 2019? Find out what's available in your version. 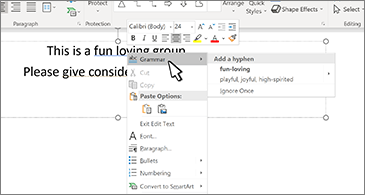 What's new in Office 2016? 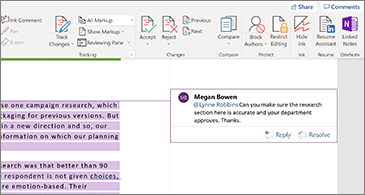 What's new in Office 2019? Insiders, you now have a web site dedicated to you. Go here to find out all the latest fixes and features that are available to you today. Enroll in the Office Insider FAST level and get access see the latest features even earlier. 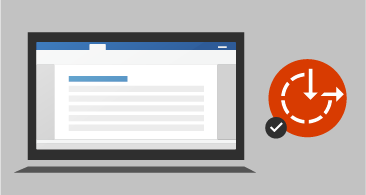 Upload your files to OneDrive to make sure all your updates are saved automatically. We change hard-drawn math expressions into standard characters. 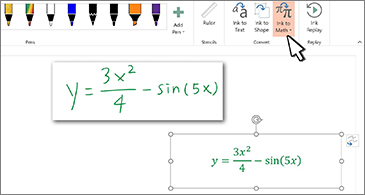 Just choose Ink to Math and select your handwritten notes to get started. Use @mentions in comments to let co-workers know when you need their input. 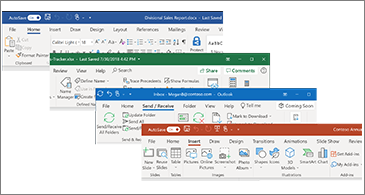 See what's new in Version 18.12 (11126.20188). 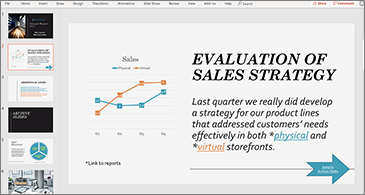 Convert your ink to text, then get smart slide-design ideas from PowerPoint Designer. See what's new in the October update, Version 18.10 (11001.20074). 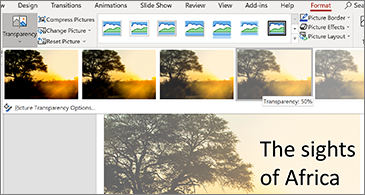 Put a picture on a slide, worksheet, document, or message, pick a pre-set, and watch the transparency change. That's it! We change hand-drawn text and shapes into refined diagrams. Just select your ink strokes to get started. Write over a shape with your pen and use the Ink to Text button to automatically convert your handwritten ink to typed text on the shape. 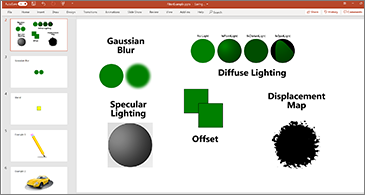 See what's new in the September update for PowerPoint, Version 1809 (Build 10827.20138). Don't stress about your words. 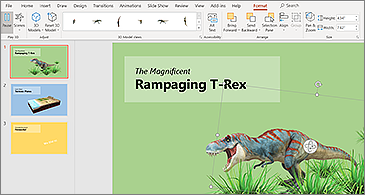 PowerPoint now provides grammar and writing suggestions. Don't worry, everything works the same. Plus all of the icons look great on screens of all sizes. Insert animated 3D graphics to see hearts beat, planet orbit, and T-Rex rampage across pages and slides. 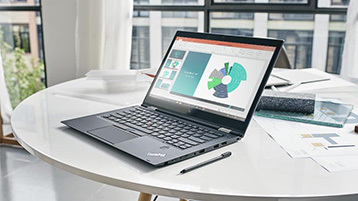 See what's new in the July feature update Version 1807 (Build 10325.20082). Hyperlinks aren't just blue anymore. Apply any font color you like. 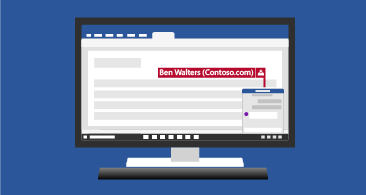 See what's new and improved in the June feature update Version 1806 (Build 10228.20080). Collaborate more effectively by chatting with your co-authors without leaving the app. 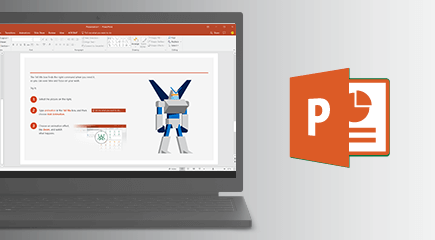 Use your pen to ink in a title, and watch PowerPoint convert it to text. Use your voice to create presentations. No need to type, just dictate! Scribble your ideas. Then convert them into readable text and crisp shapes to create a polished presentation. 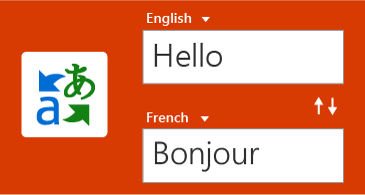 Translate words, phrases, or the whole document to another language with Microsoft Translator.